Okay, I’ve been kinda avoiding talking about Friendship Is Magic a lot on here, but something occurred recently where I just have to stop and ask “Why?”. Now for those wondering, yes, I watch this show. I know that might surprise some, considering a certain video I released a while back from when I watched a little video called Cupcakes and have since acted all traumatized any time something MLP related pops up on my show. Well, first off, yeah I was kinda traumatized by Cupcakes, but I got over it pretty quick. Everything since has basically just been me playing it up for laughs, especially when I look back and consider just how dumb I was for being horrified by it. Now, am I a Brony? Ehhh, depends on when you ask me, to be perfectly honest. I don’t mean to pick on y’all, but you do get a little over-enthusiastic with this show. And this is one of those times. 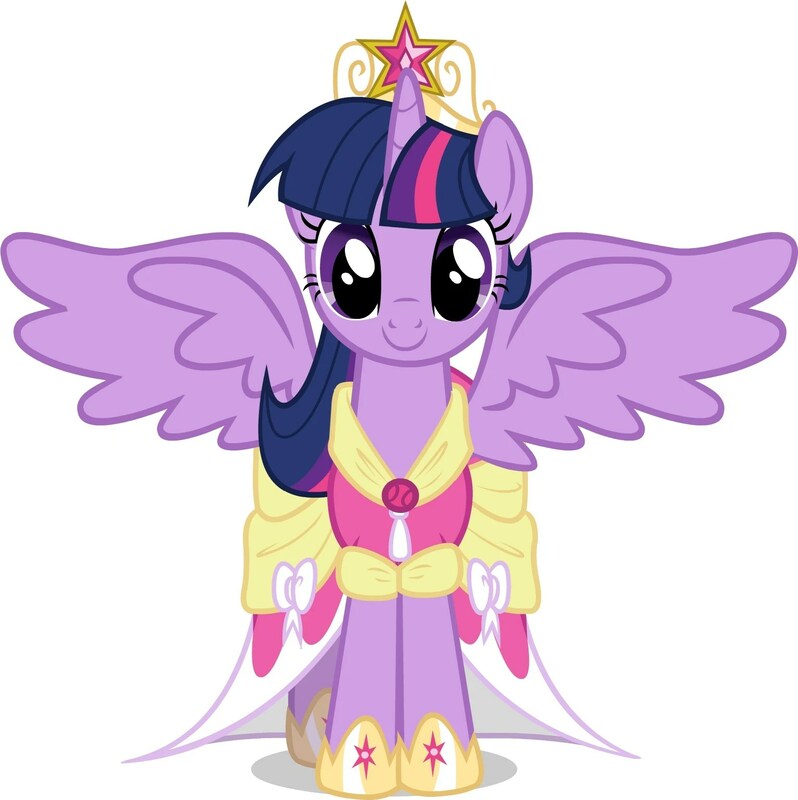 So in the newest episode of Friendship Is Magic, Twilight Sparkle writes her own magic, which in turn allows for her transformation from unicorn to alicorn (which is actually an error and the correct term iswinged unicorn), and that she’s also now a Princess along with Celestia, Luna, and her sister-in-law Cadance. And for some bizarre reason, people have been really pissed about that, saying they jumped the shark and that this is the end of the show and so on. Don’t believe me? Watch the live chat version of this episode on YouTube. There was actual panic going on there when it happened, which I am hoping was exaggerated, because then it would be kind of funny whereas now it’s just dumb. Now first off, before I address my overall thoughts on the matter, I will say that I saw this coming, for a LONG time. The biggest piece of evidence (before Hasbro actually went out and just said it, that is) was during The Crystal Empire, where we see transitional shots of Celestia and Luna with the sun and moon behind them and Twilight with a star behind her, and then at the very end where Celestia and Luna watch Twilight leave and pull out Star Swirl the Bearded’s book. So yeah, knew this was coming eventually, so didn’t really shock me. Aside from the change itself, my thoughts on the episode as a whole are that it should’ve been a two-parter, or perhaps a made-for-tv movie. It was good, it just felt like too much (seven songs and a crap-ton of flashbacks) was being crammed into an episode that, minus commercials, clocked in at just over 20 minutes. Plus, I would’ve liked to have seen Twilight getting ready before the coronation, and maybe have Luna come in and say something to her, thus furthering the full circle she’s gone through. ………….Anyway, I think for now we just need to wait until Season 4 and see how this plays out. Ja né!